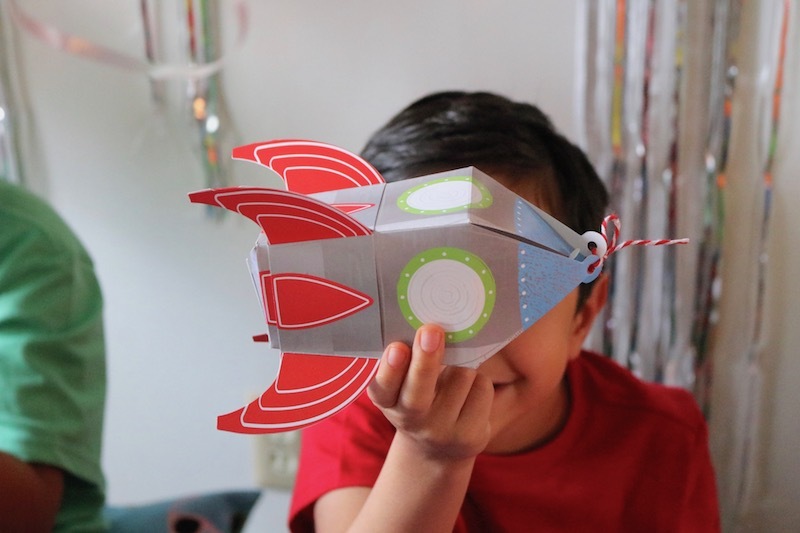 3, 2, 1, Blast Off! 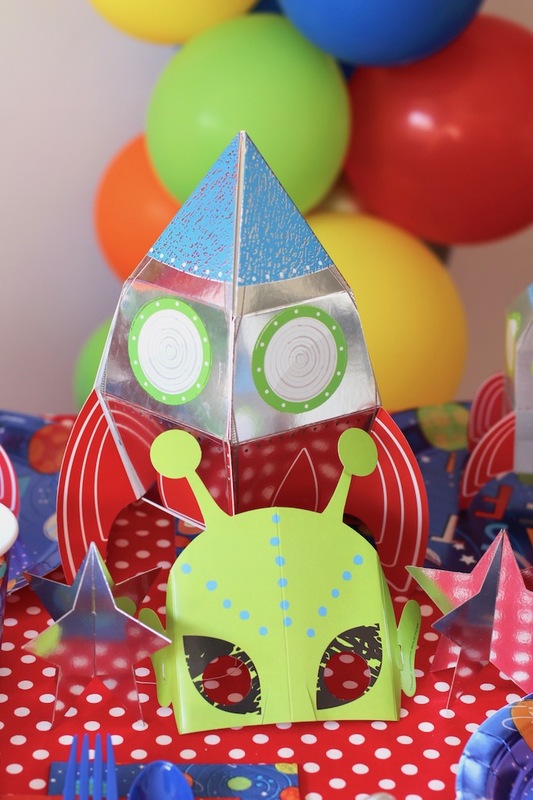 Throw an out of this world birthday party! 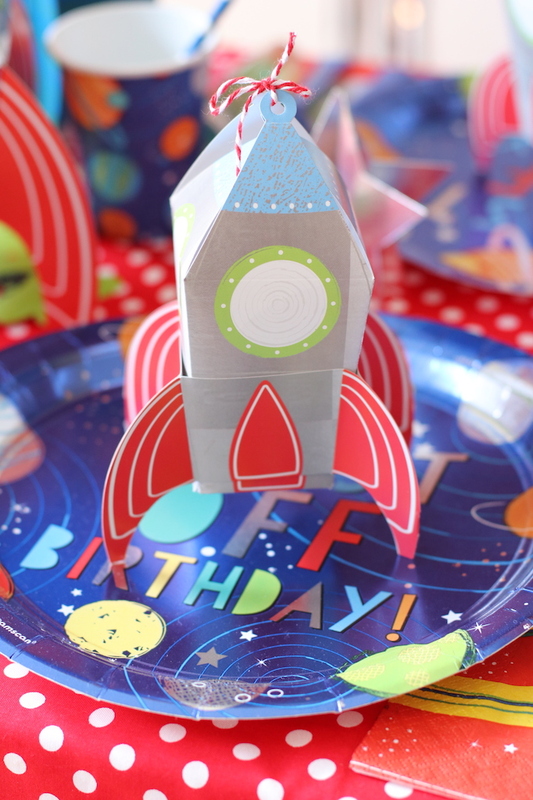 Have you spotted the new Space Blast party theme from Party City? 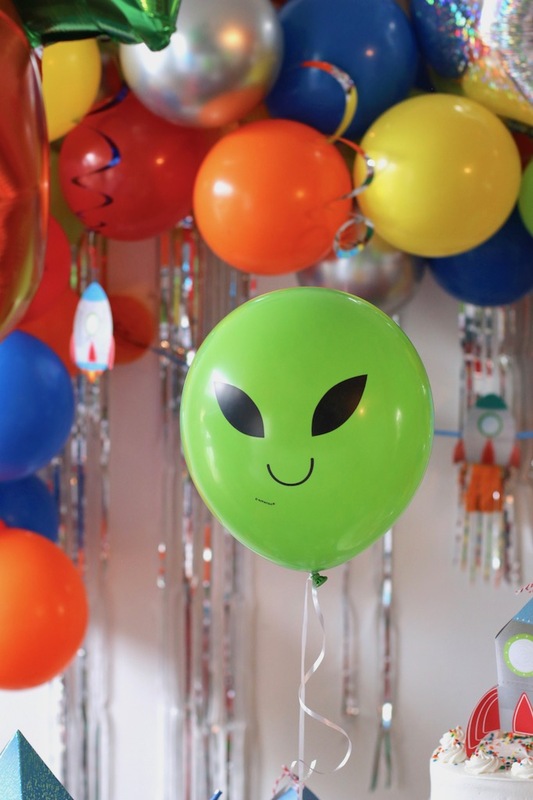 It's seriously out of this world! 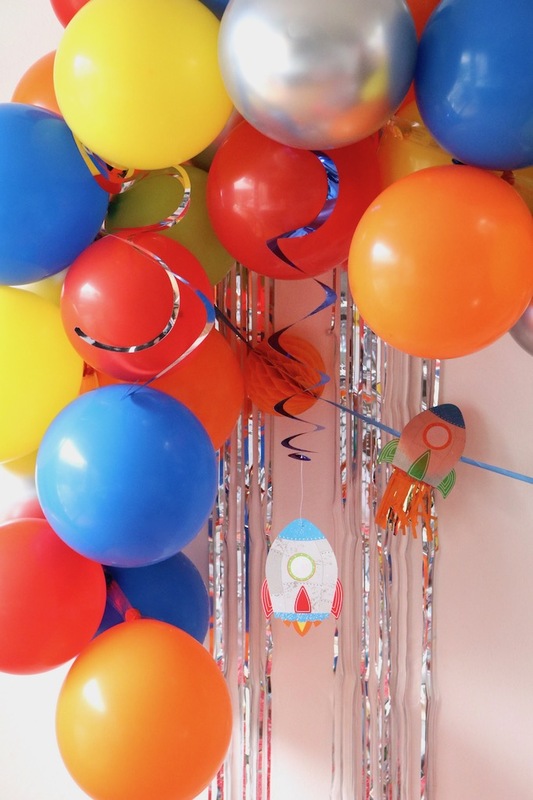 The colors are so bright, and the party favors, balloons, and partyware are just so FUN! 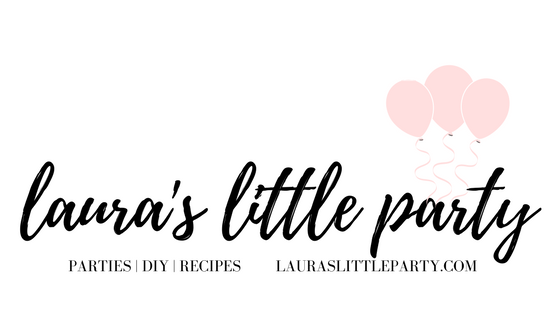 Are you planning a birthday party soon? 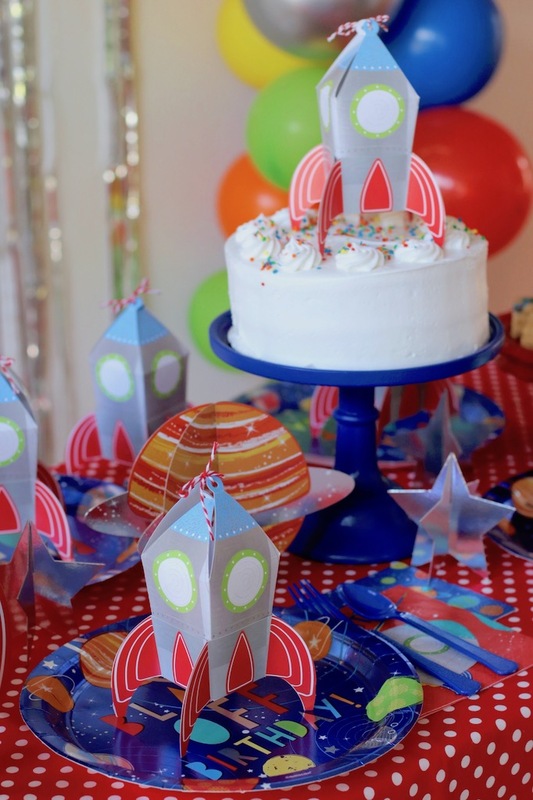 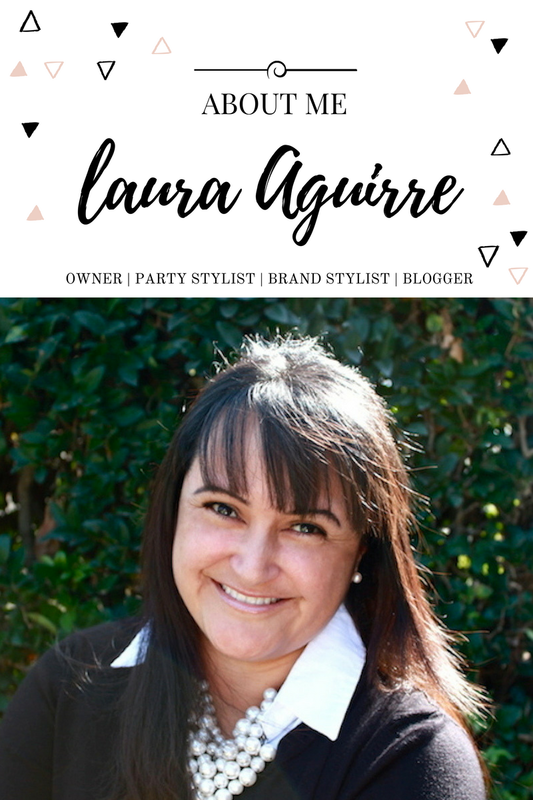 See how easily you can put together a birthday party that will send your guests over the moon! 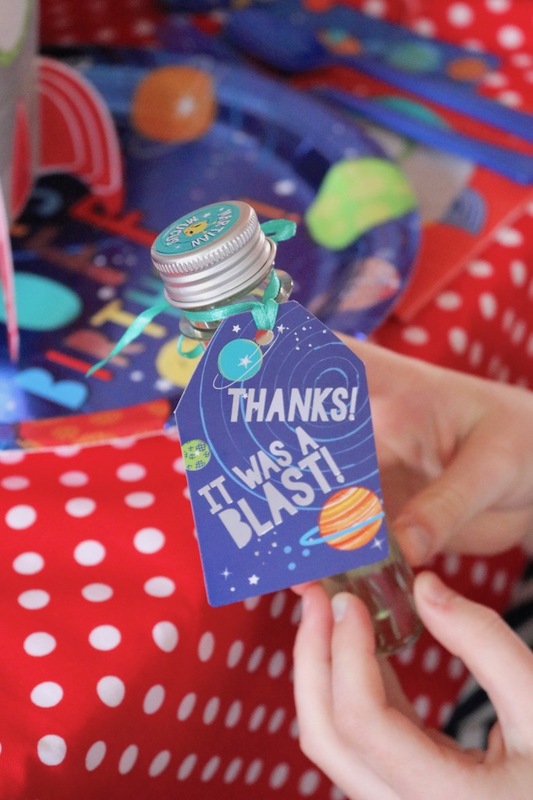 The Blast Off Table Decorating Kit was a huge hit! 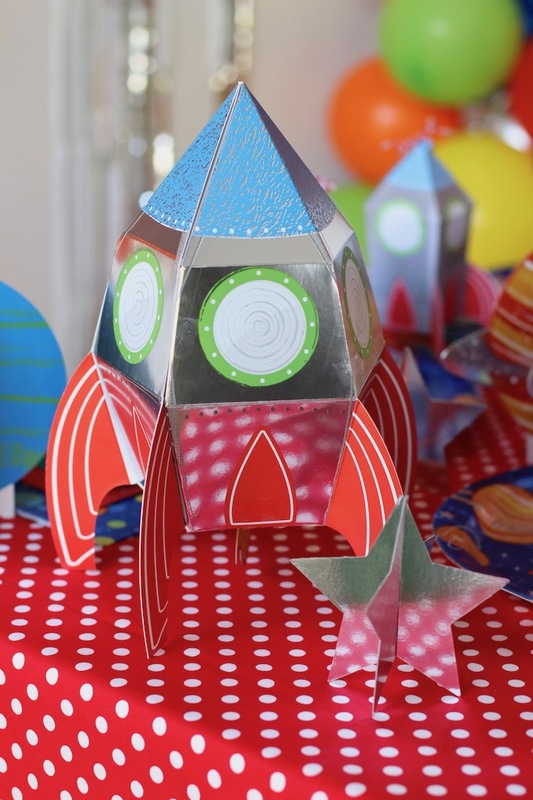 My party guests couldn't keep their hands off the large cardboard rocket ship. 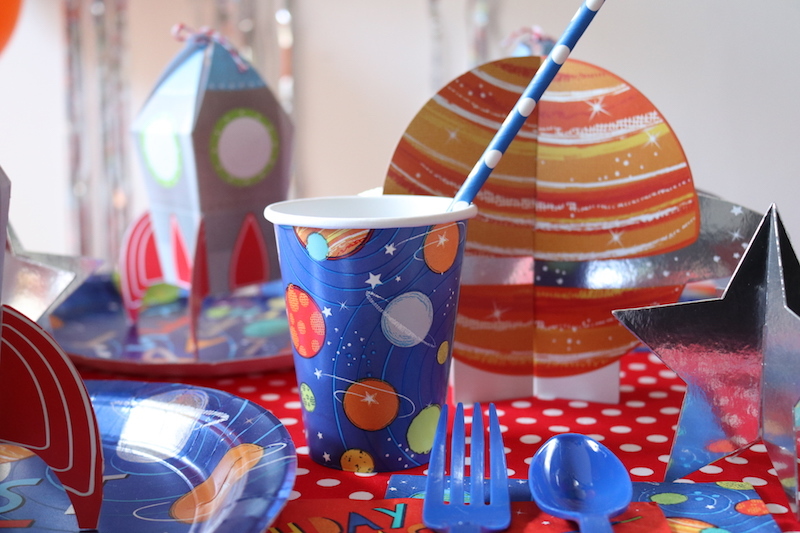 The stars and planets added a really fun element to the party table as well. 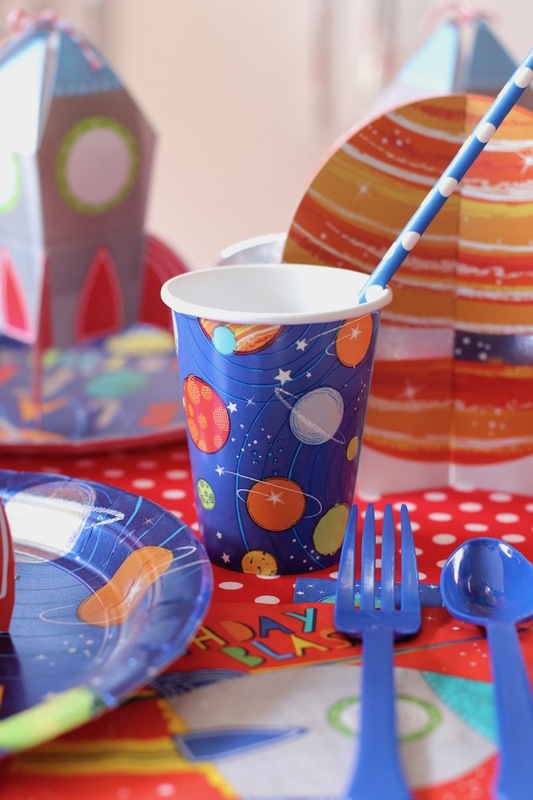 Set up a festive party table that's colorful and inviting. 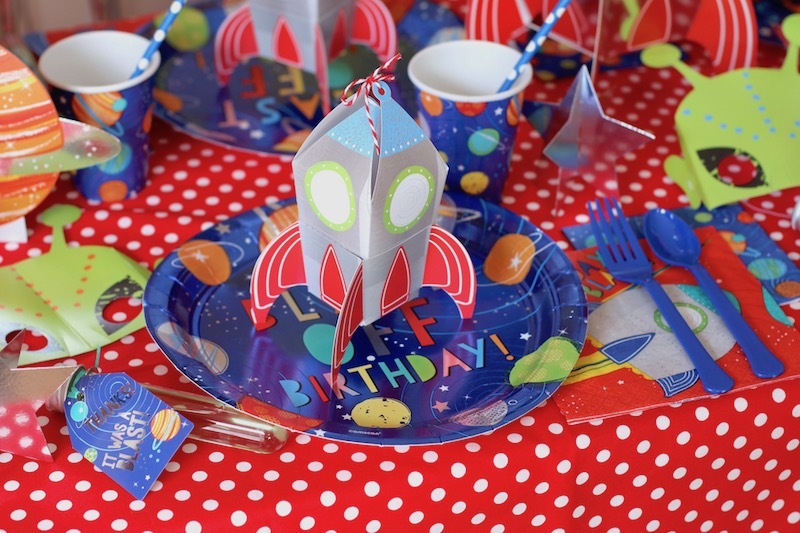 Party City makes it easy with their plates, napkins, coordinating table decor, and fun rocket favor boxes. 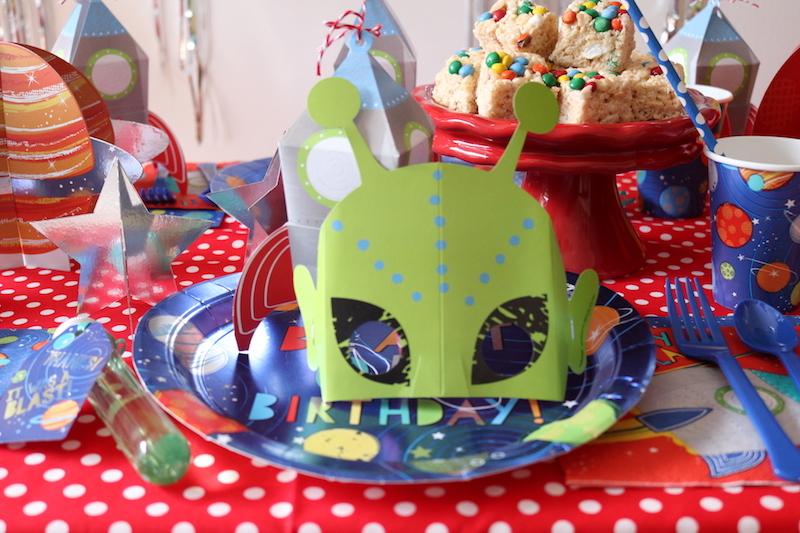 I added a favor box to the top of a store bought cake and the party guests loved it! 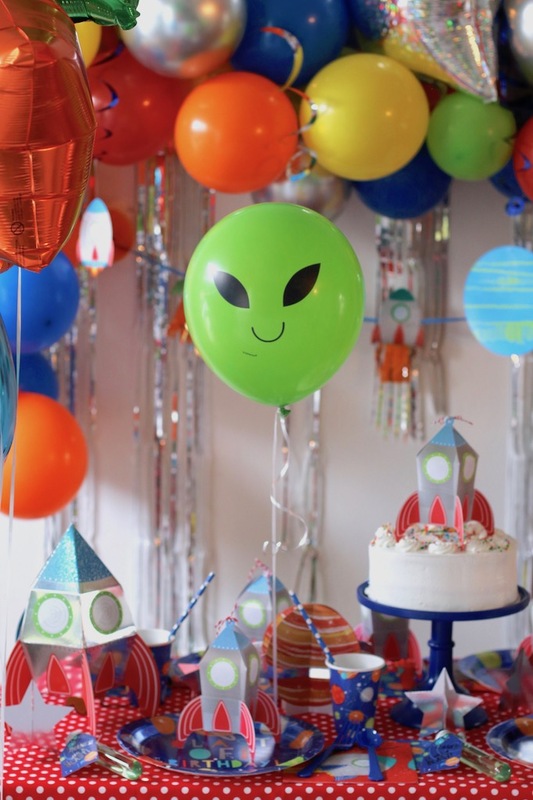 The Blast Off Alien Balloons were my favorite item in this party theme! 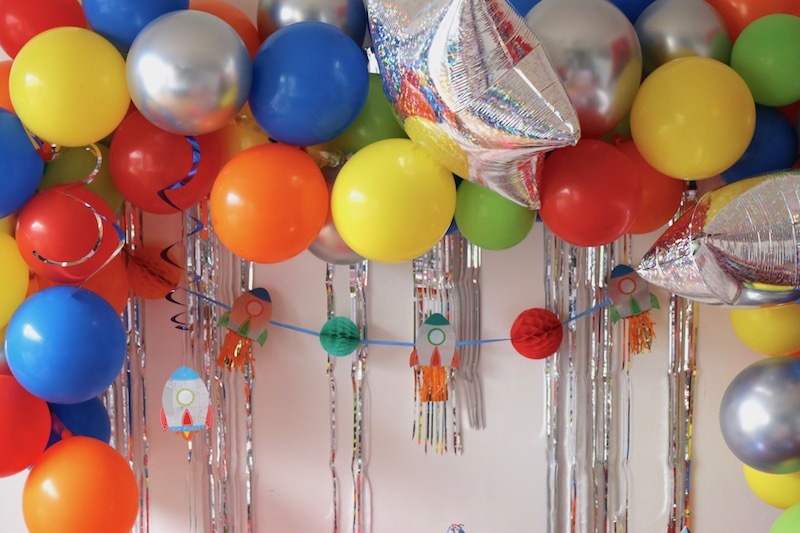 I created a colorful balloon garland with coordinating colors. 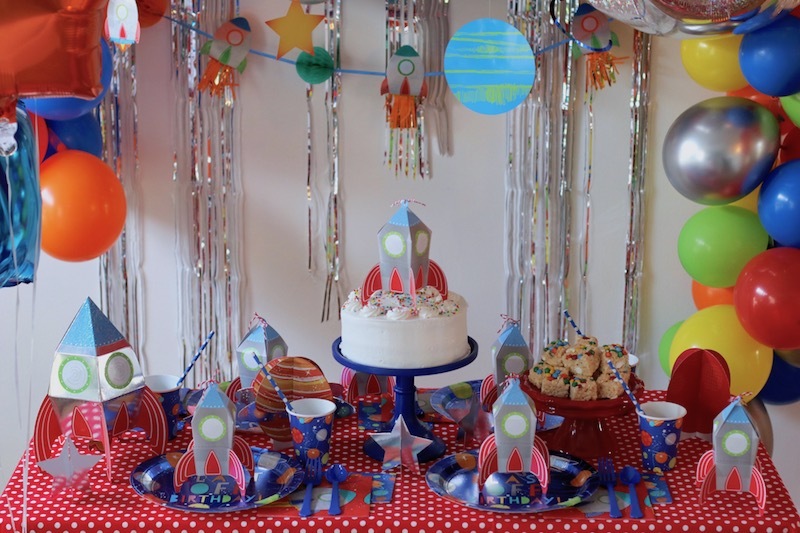 I also added hologram stars, chrome balloons, and I even added the Blast Off Swirl Decorations within the balloon garland, for added fun! 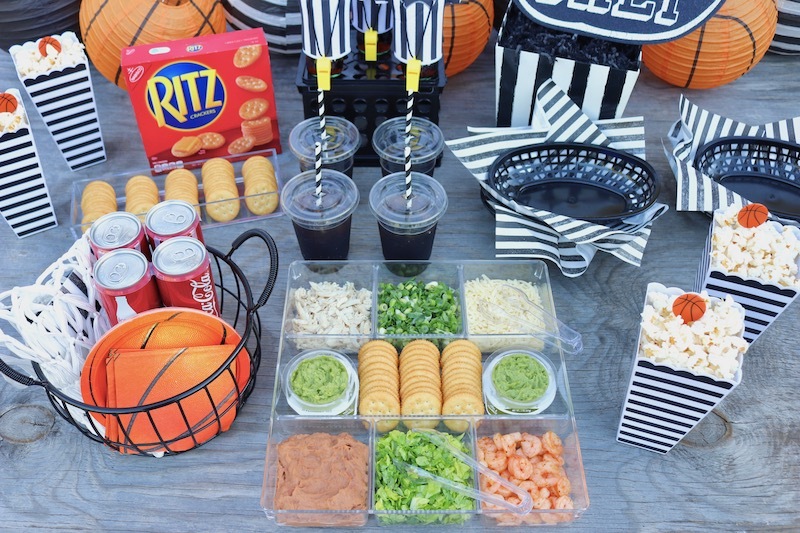 Set out some simple treats like these colorful krispy ttreats! 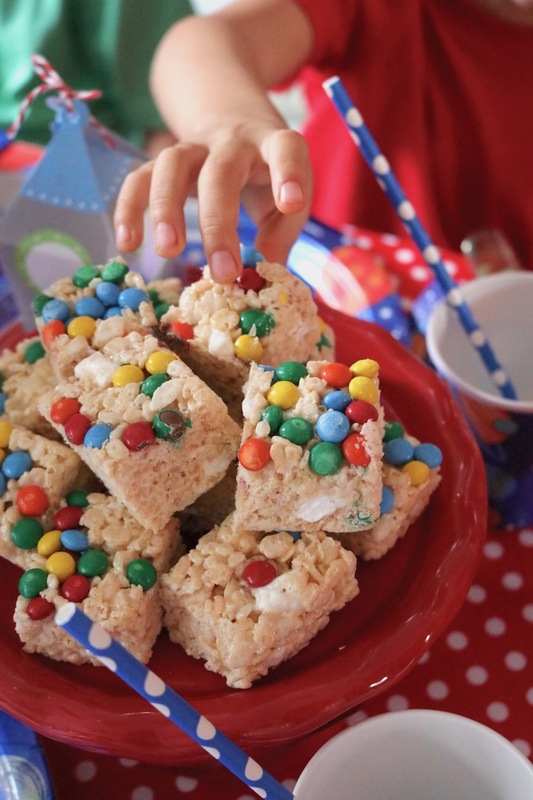 Just add candies to your krispy treat recipe and watch them disappear. 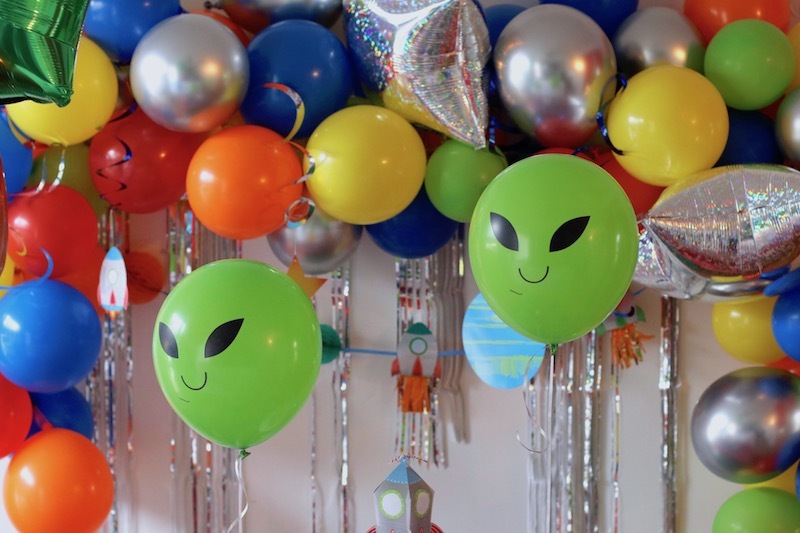 Send your guests home with party favors. 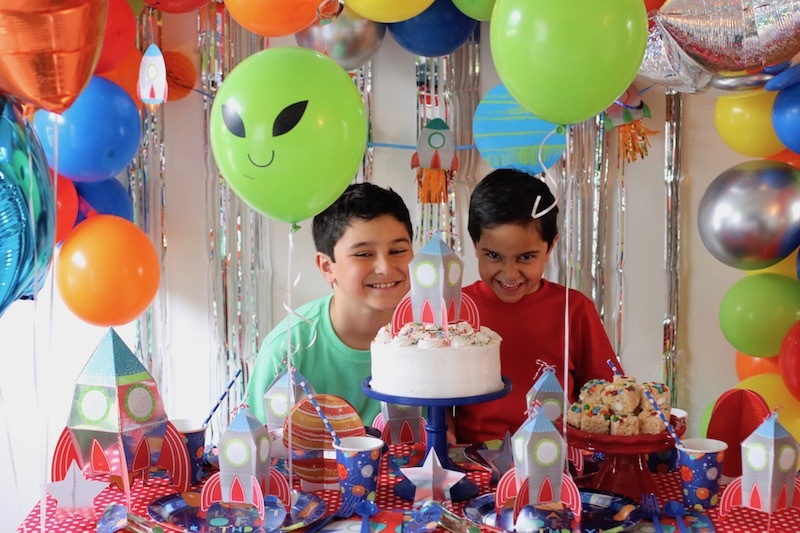 They'll really enjoy the Blast Off Martian Mucus Slime! 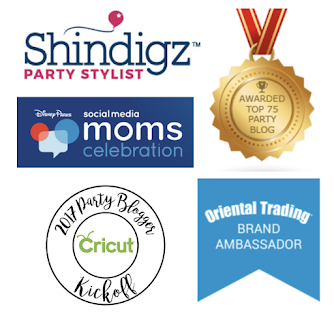 Add favor tags, and they're good to go! 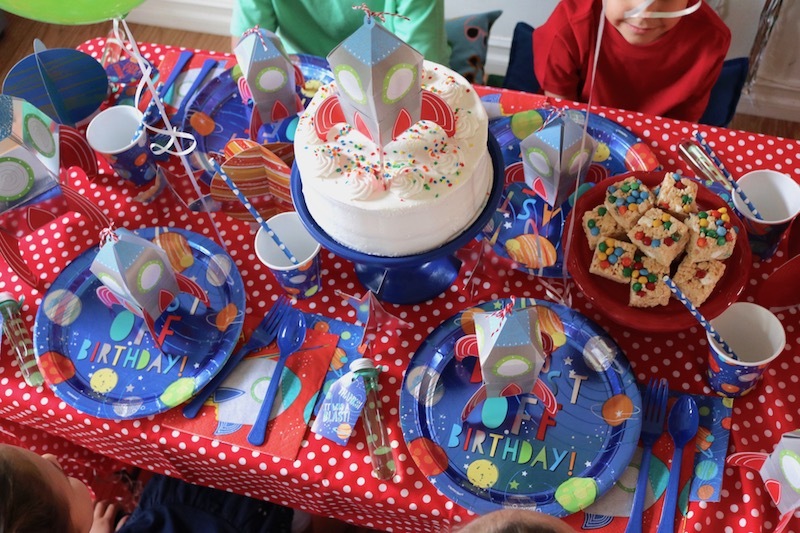 Don't forget the aliens masks! 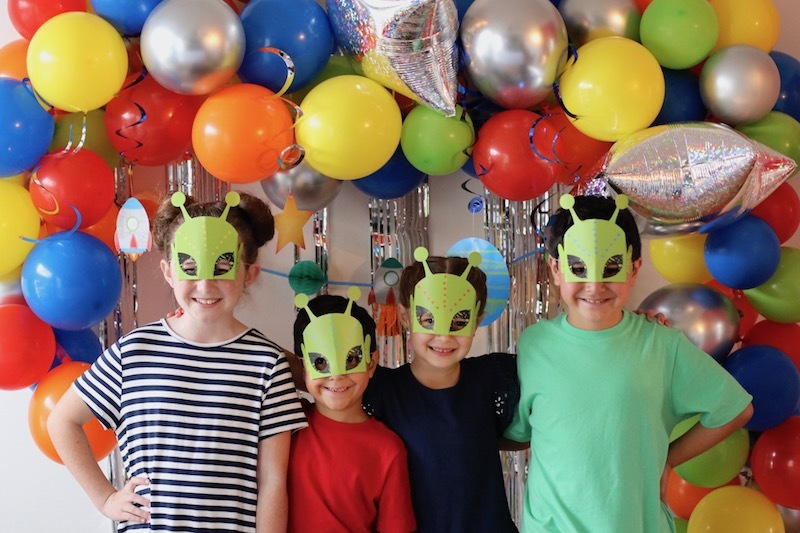 Pass these fun masks out to the party guests and snap some out of this world pics! 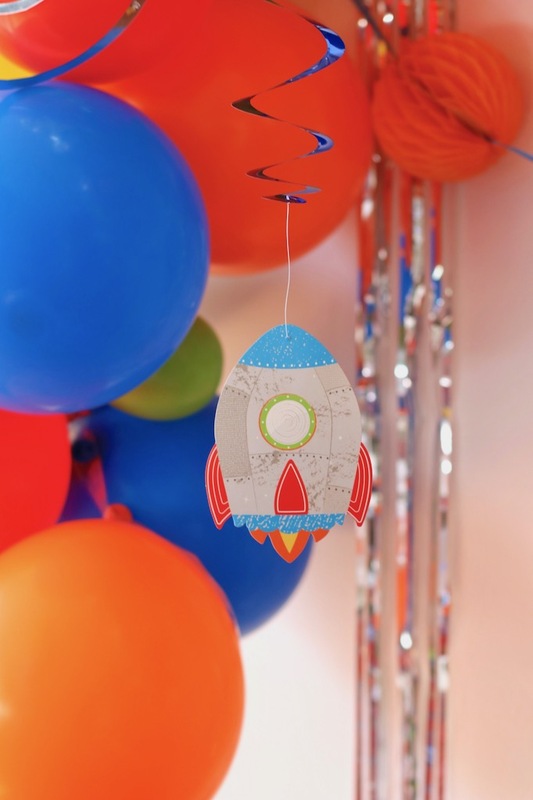 If you have any space-loving kids in your life, this theme is just darling! 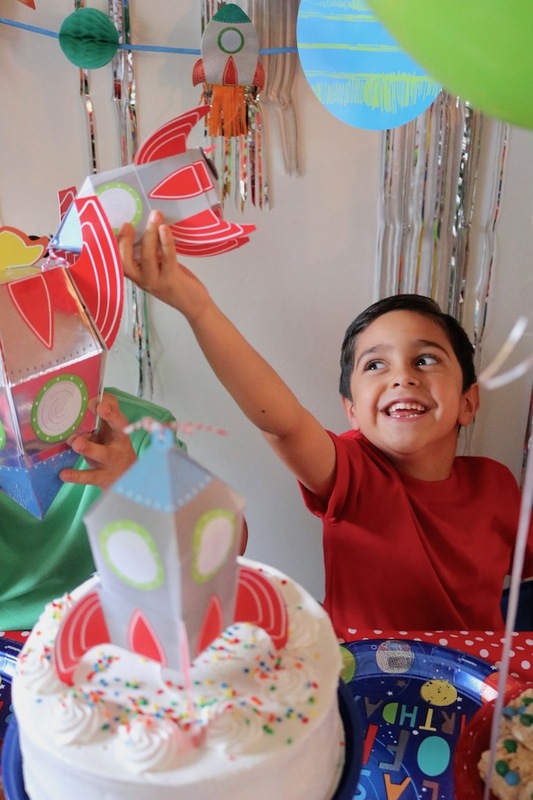 The bright, bold colors are sure to please. 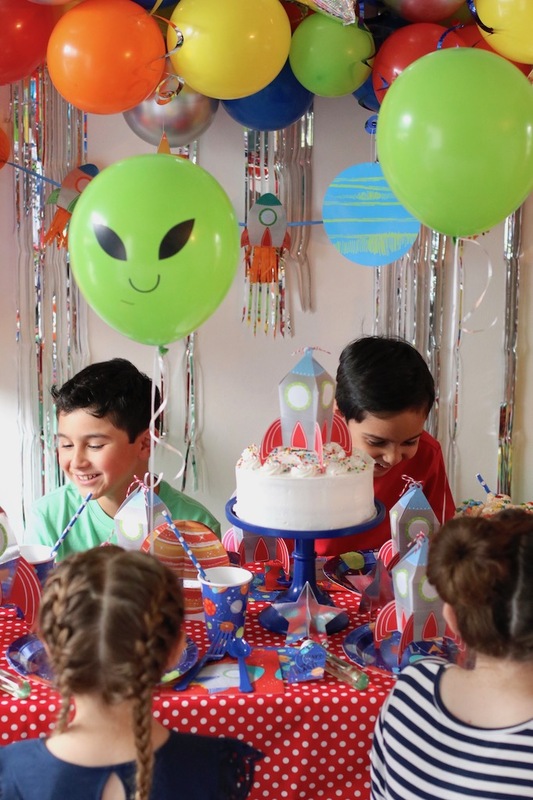 Add in the fun aliens, rocket ships, and you've got yourself one galactic birthday party!